← Led by the Spirit…To be tempted! 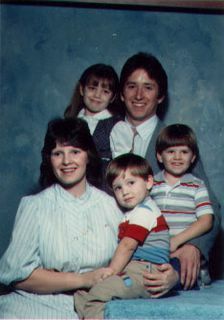 Here is our family ten years ago. thats me with the hair that looks like a brown mixing bowl. These were the pre-mullet days for Dad! All joking aside, Dad, you’re the greatest. I am praying for you and what happens in the future. You have had the greatest impact on my life as a spiritual giant. I know the best is yet to come! Posted on May 24, 2005, in Uncategorized and tagged Uncategorized. Bookmark the permalink. 1 Comment. Josh, This is as funny a post as I have looked at.